How has been Barcelos’ journey in India so far? Barcelos has had a steady growth in F&B segment in India. Last year was not really favourable. We started in 2015 with a remarkable entry in Indian market with a new coloured food trend in the country. 2016 was a year of expansion. But after few ups and downs in the entire journey, now we have better understanding of the Indian food service market. The company recently launched new menu, and since then our sales are up by 50 per cent. Our new menu is 45-50 per cent vegetarian. 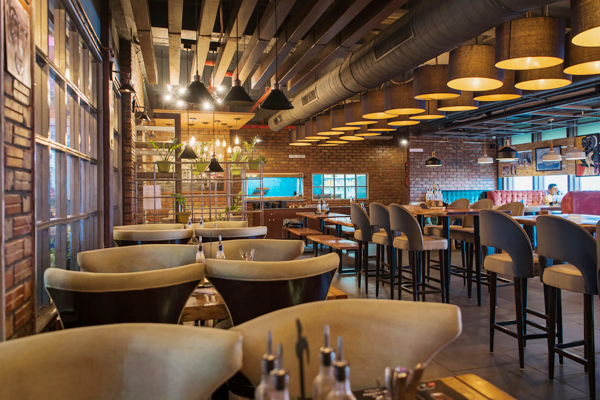 Barcelos is planning to add up to 20 more outlets in India by the end of 2019 as part of its expansion plans. Barcelos has had a mixed journey in India so far. On one hand, we have received a great deal of appreciation while on the other hand, we struggled due to a few policies or decisions. We have learnt a lot. I believe we are getting there. Factors like new menus and bigger outlets sizes helped us to achieve better numbers. Your plans to tap the growing Indian vegetarian segment? We have made a few decisions which are specific to the Indian market. First of all, we have removed the word ‘chicken’ from our signage which is standard across the world. Secondly, we have shifted the cockerel in the mono logo to a side. This was done to ensure that people don’t get an impression that Barcelos is a chicken or non- veg brand. Besides that, we have introduced a new menu 45 per cent of which is made of veg dishes.We don’t have pork and beef on our menu which are otherwise offered internationally. All of our veg dishes are well known in the age groups we are targeting. Your shift from high street format to outlets in malls/food courts? As of now, we are in malls. We haven’t opened a outlets inside any food court. The reason we shifted from high street format to malls is the hassles which we had to face on high street. Also, there is no control over factors like brand mix in high street. Also, Barcelos is a food-focused place. Our target audience consists of couples, families and teenagers. Such groups can be easily found and targeted in malls thereby making them suitable for our placement. Are the ingredients like your famous peri-peri sauces sourced from South Africa? In a long haul market like India, how can the authenticity of menus be maintained? Yes, our USP peri-peri sauces come from South Africa. We have a centralized sourcing and procurement system. All of our kitchens are 97 per cent salt-free. Our kitchen staff can only over or under do the dishes. They can’t alter the recipes to make it any less or more delicious. How has the Indian restaurant scenario changed over the years? What will be the future trends? Indian restaurants have seen dramatical changes in last few years. There are new concepts mushrooming every day. I believe restaurants are no longer just eating out destinations. They are more about holistic entertainment today. People go out to eat, drink, party, hang out and work. Consequently, multi-cuisine restaurants with nice bars and pleasant music are quickly catching on. Other emerging trends are of experiential and experimental eating. Newer cuisines and hybrids are being brought to market everyday. Subsequently, niche restaurants are quickly making their presence felt. Microbreweries are one of many such trends. From bringing back authentic flavours to dramatic blends of cuisines to healthy eating, the Indian restaurant market is characterised by an inexhaustible number of trends today. 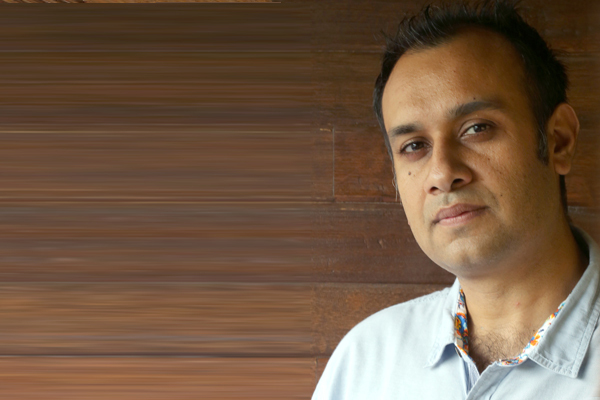 How will the food app revolution impact the restaurant industry in India? Food app revolution has created endless opportunities in the restaurant industry, especially for newcomers. They provide vital customer information like favourite orders, saved addresses and feedback about food and services. Attaining visibility is no longer an expensive affair. Outsourcing is yet another advantage. Delivery apps have eliminated the need for every eatery to hire its own delivery boys and thus help in cost cutting. These apps also have their downside. Fake ratings, poor customer service, excessive discounts are some of the disadvantages. Future roadmap for Barcelos in India? We are focusing on malls in Tier 1 and Tier 2 cities. Tier 2 cities are more viable for us, as rental costs can be controlled. Our aim is to open 20 outlets in India by 2020. To achieve our goal, we have diverted our focus towards smaller formats. We are all set to bring two new exclusive models into the Indian market which lets a Casual Dining Restaurant (CDR) enter into a QSR market. It will be having a retail counter with sauces, nuts, and wafers being retailed at select Barcelos outlets. Barcelos is also looking to add franchises in three-star and four-star hotels. We hope to add 20-25 outlets every year after 2020.